Stay Fit Magazine is the Complete Health & Lifestyle Magazine. Click here to get your FREE sample of this magazine from the original source. Below there is an image link and a button link where you can get this FREE sample magazine from our server. This article appears also in Entrepreneur India. The 13,000 sq ft mansion was redesigned where three different architectural influences from Samodh Palace, French Palace, and the English manor from Jane Austen’s Pride and Prejudice were compiled together. “Everyone was weary of my taste but it turned out to be everything I wanted,” says Saba, recalling the moment. An ardent philanthropist who has worked for various humanitarian causes, her house consists of six bedrooms, seven bathrooms, a study with winding staircase and wall to wall bookshelves. The stunning chandelier hanging from the ceiling of the living and dining room, and the fine gold engravings on the wall are a perfect example of how to engage design exquisitely with surroundings. Every room in Saba’s house takes you to a different part of the world, bringing our wanderlust on the surface. Saba has a small mandir (prayer room) in the east side of the house. “It is very important for me to always incorporate that aspect into the home. The vibe of the house has a lot to do with energy and Feng Shui,” she says. While every corner has a charm of its own, Saba has a soft side for the library. “It’s where I can play my favourite music and cuddle my little one while I read or talk. When my family cannot find me in the home they can always find me in the library,” she laughs. You’re reading content from Entrepreneur India, an international franchise of Entrepreneur Media. Gadgets are what we strive on. There is no one in the world who isn’t invested in the latest technology. CES 2019 just gave us a glimpse of what present and future of smart ecosystem will be all about. Like it or not, technology is here to conquer all our space, the more you try to stay away from it, the more it seeps into the gaps digging its root deeper into our lives. And honestly, at times gadgets do make the life of an Entrepreneur a lot easier. The technologically advanced gadgets at times help us rescue from various situations. Entrepreneur India brings you a list of four gadgets that these entrepreneurs swear by. They not just are fun to use but even helps in processing your work faster. So get set go and check out these gadgets that are here to make your life a little better and easier. Don’t we all love upgrading our phones? With so many options in the market, it is often difficult to make a pick. But making it easier for you is Rohit Sahni, Director, WK Life who swears by Huawei Mate 20 Pro phone. What makes this phone an apt buy from a work point of view is its processor and camera and hands down to its other features. “I got The Huawei Mate 20 Pro phone 15 Days back from Hong Kong, It has actually become my favourite Gadget today. I can share my battery with my friend through Wireless charging i.e. I can charge my phone through this phone. It has got Dot projector in the front which is very useful for me because I can make a 3D model of any of my product. It has the feature of creating many user accounts and private spaces. This is a really cool phone that I got after so long and using really expensive phones,” says Rohit Sahni. Powered by octa-core processor, this phone comes with 8GB of RAM. The highlight is its fastest charging in the world and comes with a 50 Watt charger. The phone packs 128GB of internal storage that can be expanded up to 256GB. 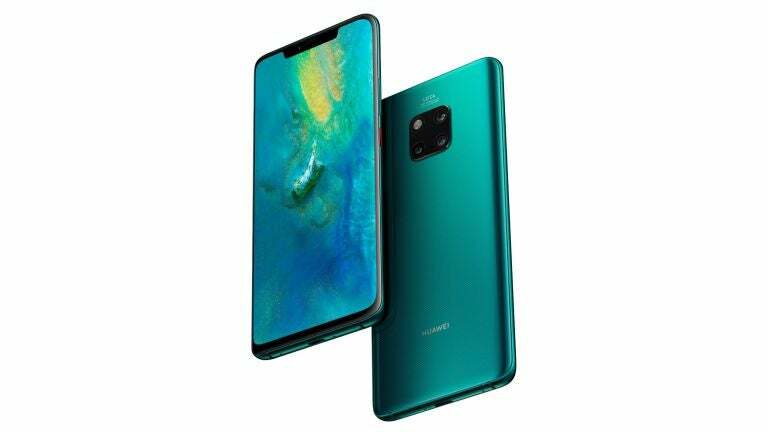 As far as the cameras are concerned, the Huawei Mate 20 Pro packs a 40-megapixel (f/1.8) primary camera and a 20-megapixel (f/2.2) secondary camera on the rear and a 24-megapixel front shooter for selfies. “They were more people for this phone then Apple phone in CES, you can imagine what magic this phone is doing all over the world,” he adds. 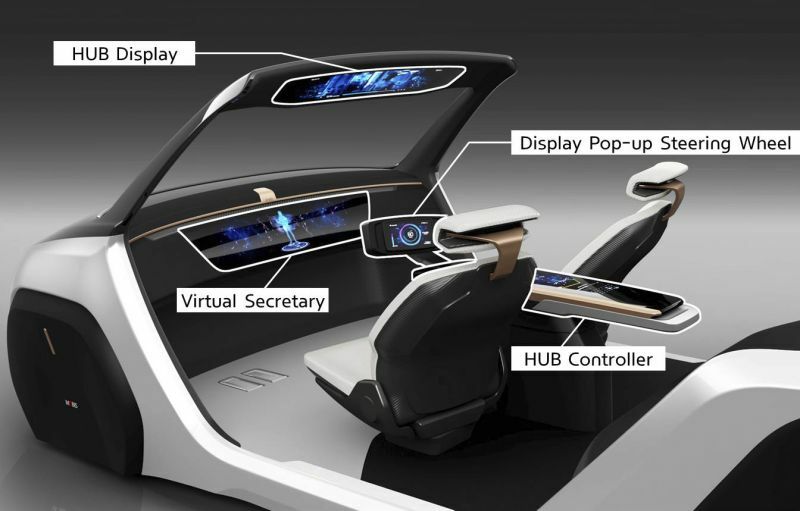 Looking for something that somewhere displays future of vehicular touchscreens? Hyundai Mobis is the next big thing on the block. “I liked the new self-driving. Hyundai Mobis they have come up with. I love it because you cannot take the wheel in the Mobis because there is no wheel to take — just a sleek, streamlined dashboard — which is one way the cars can reduce the number of road-rage incidents and extended middle fingers. Isn’t that cool? The Car recognizes your facial expressions, so if you’re angry, happy or sad, it changes the ambience of the vehicle. I thought this was a great touch. Can you also believe that It reads other drivers’ and passengers’ emotions as well, so if they are agitated or sleepy, the vehicle automatically detects it? These days with so much road rage on the roads this kind of car could stop a lot of accidents and deaths,” says Malini Saba, Founder, Saba Industries and Saba Family Foundations. The thing with Apple and its products are that it always makes it to the list. Who doesn’t like some smart living? The Eve Light Strip is something that might grab your attention for sure. “I have always been interested in getting my hands on new and upcoming tech gadgets. One of the gadgets that caught my eye this year was The Eve Light Strip that was displayed at the International Consumer Electronics Show. The Eve Light Strip is a LED strip, which connects to the home Wi-Fi and hence can be controlled from various sources wirelessly, including most of the Apple gadgets like iPhone, Apple TV, Apple watch, etc. The thing that I like most about The Eve Light Strips is the full-spectrum of lighting it offers with thousands of different colours and tones. It perfectly sets the lighting to the mood and surroundings. It catches commands in a just a flash via Siri, which makes it super convenient and ideally hands-free. I would recommend this product to everyone for a sleek lighting finish and the ease by which it is accessible,” Sargam Dhawan, Director, DAFNI India.